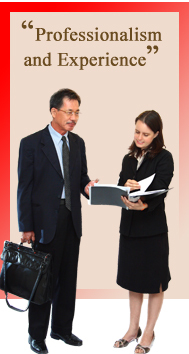 Thailand Law provides for several different types of business organizations. The regulations controlling establishing a business in Thailand are found in the Thailand Civil and Commercial Code. Special types of Business entities for foreigners (non-Thai nationals) in Thailand are provided for in laws such as the Board of Investment Act and the Foreign Business Act B.E 2542 (A.D. 1999). A sole proprietorship is a solo-owned business by a single natural person.Thailand sole proprietorship is restricted to foreign nationals living in Thailand. Thailand partnerships are contracts for an organization of two or more persons engaged in a business venture in which the profits and losses are shared proportionally. There are different types of business partnerships in Thailand. The legal responsibilities attached to the partners vary in the different types of partnerships although the general rules governing all types of Thailand partnerships are similar. Business partners in an ordinary partnership in Thailand are equally liable for all obligations and debts of the partnership. This type of partnership is not required to register with the Thai Commercial Registration Office (CRD) so that the partnership is taxed at the rate applicable to individual partners. A registered ordinary partnership in Thailand is registered with the Thai Commercial Registration Office. This type of partnership is taxed as juristic person. Registered ordinary partnerships are required by Thai law to submit an annual financial report and pay corporate income taxes. However, incomes may also be reported on individual partner’s tax returns. General partners– this type of partners in a limited partnership are financers. 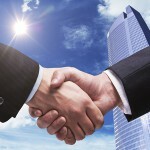 General partners are liable to the partnerships’ financial obligations and have full authority to manage the business. Limited partners – a limited partner‘s liability is limited to the amount of money or valuable assets invested in the business. Limited partners do not have the authority to manage the business. Limited companies are probably the most commonly used business structure in Thailand particularly for non-Thais. Limited private companies in Thailand are required to register a Memorandum of Association and Articles of Association. A Thailand limited private company must at least have 3 shareholders. A limited private company with a non-Thai national with more than 49% shares of the company is generally subject to the restrictions of the Foreign Business Act.